Back in August, PokerStars announced that its European Poker Tour events would begin to use a revised payout structure that paid out 20 percent of the field with minimum cashes of 1x-1.2x the original buy-in. That decision elicited considerable rancor from some of the poker-playing community, particularly high-stakes regulars. In the wake of the unrest, PokerStars has announced some new revisions to the payout structures. 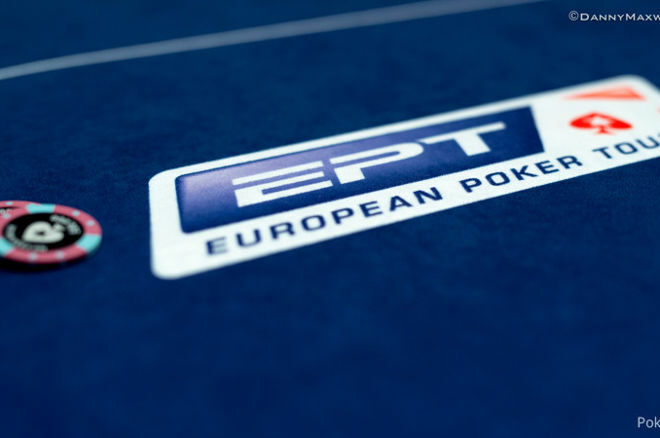 For the upcoming EPT Malta and EPT Prague stops, events with buy-ins €10,000 or more will return to the old payout structure of 12 to 15 percent paid, while lower buy-ins will be capped at 20 percent of the field paid out with min-cashes in the neighborhood of 1.5x the original buy-in. "We're very passionate about creating a player experience that players look forward to coming back to again and again and making our events the best that they can be," PokerStars Head of Live Poker Operations Neil Johnson wrote on the PokerStars blog. "We'd like to think that we've got a lot more things right than not, and we're proud to say that we will keep trying new things and pushing boundaries. It's not always an easy balance to maintain when you're weighing up data, planning the next event, playing with new ideas and trying to factor all that against how we think you, the player, will like it." Industry standards for percentages of the field paid was around 10 percent for years, but many online tournaments have increased to up to 20 percent in recent years. Originally, Johnson told PokerNews that the changes were going to get a "solid run" of testing and would therefore be implemented for all of the remaining 2016 EPT events — Barcelona, Malta and Prague. However, he did leave the door open for changes. "This ultimately is a player driven industry and if the overwhelming feedback is that players love it, hate it or want it tweaked, we’ll certainly go back and look at it," he said at the time. It appears player feedback was indeed sufficiently negative to necessitate the changes, which were announced as a way to spread money more evenly throughout the poker economy. High-stakes players shouted out against the changes, as such a goal has little, if any, bearing on their subsection of the poker economy, an idea that PokerStars acknowledged when some EPT Barcelona High Roller events had their payouts re-adjusted after player requests. As for players firing the €5,300 Main Events and other tournaments, Johnson wrote that some "felt like they just got their money back and didn't 'win' anything." In order to continue to tweak live events to players' liking, PokerStars has asked players to continue to send them feedback by emailing live@pokerstarslive.com.